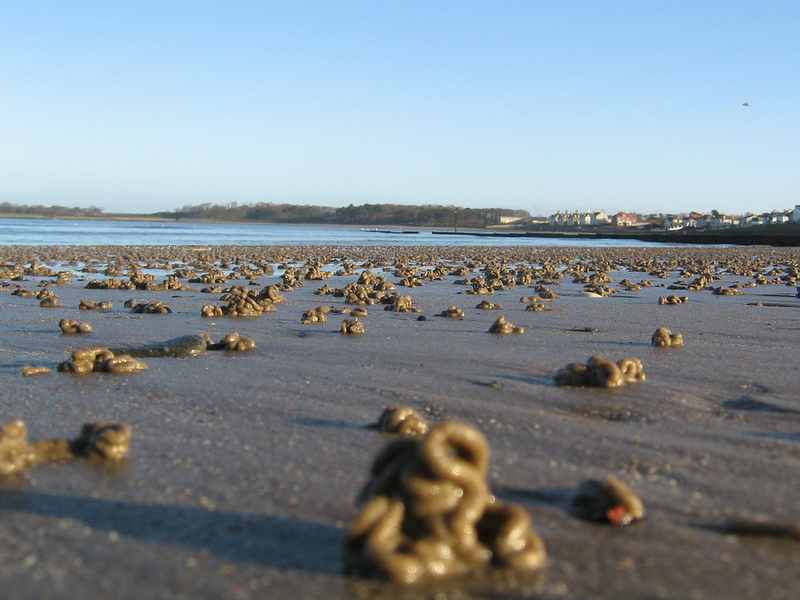 Lugworms (Arenicola marina) live in muddy sand – they’re a component of the food chain and fishermen look for them because they make great bait. Their presence is given away by the piles of sand (casts) deposited above the burrows in which they live. Each burrow has two openings at the surface. The worm draws sand into the burrow through one of the openings and, following digestion, expels the sand through the other opening, thus carrying out its ecosystem engineering duty – sediment turnover – across beaches on both sides of the North Atlantic. This entry was posted in Environmental Management, Environmental Policy & Regulation, Health & Ecological Risk Assessment, Sustainability, Toxicology and tagged lugworms, microplastic pollution, nonylphenol, plastic waste, PVC, triclosan on January 3, 2014 by Integrated Environmental Assessment and Management.